Artist and Sculptor Jay Wiggins describes the beginning of the Evereman movement, what it means and how his family and other artists have influenced this art. 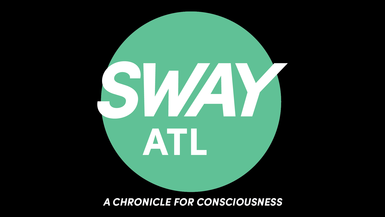 Sway ATL is a chronicle of true stories for the purpose of maintaining consciousness in the city of Atlanta. Sway is a drawback to the curtain. A visual and factual account of stories for the purpose of enabling awareness of the city as its own living creature. The goals within Sway’s mission is to remind our citizens of the creative life force and positive energy moving throughout the city. This is monthly programming, releasing honest stories about creatives that help bring this city to life through their daily contributions of heart to the culture, to the art and the sociology that makes the city of Atlanta what it is. These stories will span inspiration for ideas, timelines of fulfillment, and the truth and hardships of day to day life.